2008. 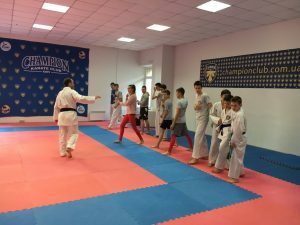 Ukrainian karate-do(WKF) Championship among juniors-1-st place. 2007-2015. 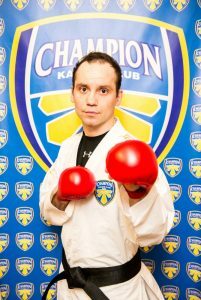 Several times winner on Ukrainian karate-do(WKF,SKIF) Championship among adults. Gold medalist at World Kanazawa Cup 2009. Got the norm of Master of Sport International Level. 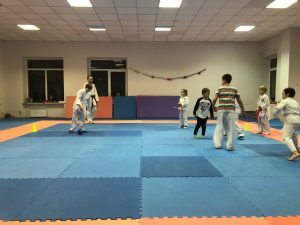 Instructor of Karate sections for children and adults. 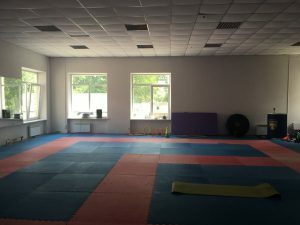 Author of multifunctional trainings project «SportArt». Winner and medalist of numeral amount of National and International tournaments. Member of the international seminars of the highest level of training, under the supervision of competent instructors from Japan, Hungary, Serbia, the Netherlands, Greece, England, Azerbaijan, Spain. 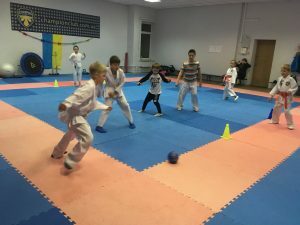 Developed the method of teaching that is based on a combination of game elements, interval training, exercises and techniques of plastic Karate. Combining traditional and modern exercise methods gives an effective result and affects the general well-being of children in the best way. In the process of training an individual approach to each child, which allows to improve the skills, depending on the predisposition to a particular way of learning. Organizer and coach at sport seminars and summer camps in Ukraine. Fulfilled the idea of «free active leisure» at Mallorca and Barcelona in 2015. Traveller, visited more than 35 countries, among them: Tibet, Nepal, USA. Languages: Ukrainian- native; English- fluent; Russian-fluent; Spanish- studying(b2).